The Watermill Center’s innovative approach to education programming imagines what visionary arts education could look like. Our custom tailored programs value collaboration with a diverse community of educators and students, emphasizing process-oriented learning and risk-taking in a supportive environment. Our Education Roundtables and Professional Development Workshops offer teachers and education administrators the chance to gather and engage with our international roster of Artists-in-Residence. The Watermill Center’s Education Roundtables bring together local and international education professionals for a dialogue on creative education initiatives. During the academic year our Roundtables for East End Educators invite local administrators and teachers to The Watermill Center to view the educational resources in our collection, tour the building and grounds, and envision future programming together. We are committed to serving the needs of our community, and believe our schools know best how we can deepen their students’ education as creative partners. Since 2014, Summer Education Roundtables function as a place to explore new possibilities in arts education, sharing resources and skills amongst our International Summer Program participants. Connecting colleagues locally and internationally, participants share viewpoints about innovative approaches to arts education from across the globe. The Hamptons Arts Network (HAN) Education Roundtables bring together arts and cultural institutions from the Hamptons to share experiences and resources in a collaborative effort to complement our collective programming for the Hamptons community. Professional Development Workshops offer educators the opportunity to learn from our international Artists-in-Residence, many of whom are experienced teaching artists. Our multi-disciplinary workshops are designed to benefit teachers of all age groups and subject areas, integrating the arts with other disciplines such as science, humanities, and language arts. These can be curriculum-based and experiential, and offer new tools for a fresh approach in the classroom. Mexican visual artist Lua Rivera designed a program to encourage children to explore the natural world using artistic skills, scientific method and imagination. American multimedia artist Stacey Goodman explored using the imagination to connect to the past through engaging with vernacular photography in historical public archives. The Watermill Center’s Education Programs engage students of all ages in the creative process, and are offered free of charge to the community. Your gift will make a lasting impact on future artists, performers, researchers and students who come to The Watermill Center to learn and create. 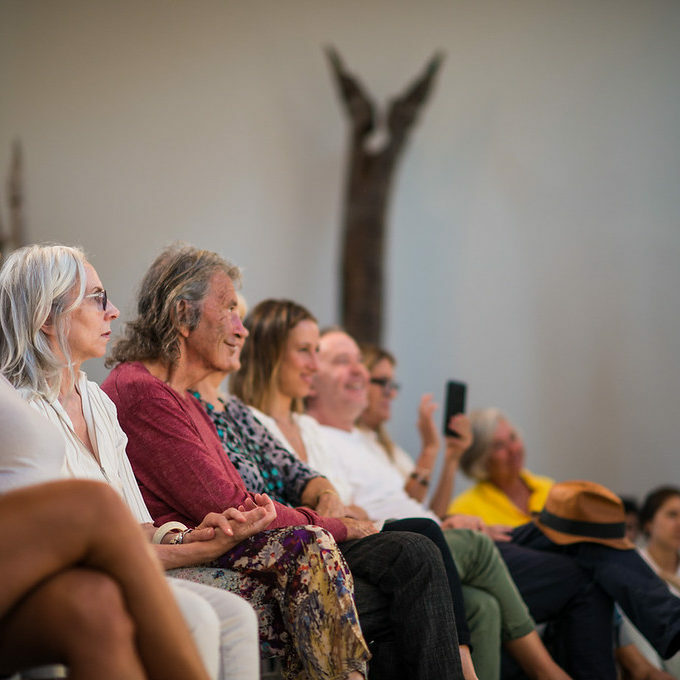 If you are interested in receiving more information about The Watermill Center’s educational programs, please contact Andrea Cote at andrea.cote@watermillcenter.org.